I frequently go to Starbucks, not for coffee, but for their tea lattes. After much searching and testing, I have found an excellent clone that is super easy to make at home. First, you need Matcha. This is green tea powder that looks a lot like vibrant green cocoa powder. I have trouble finding this at local stores, so I ordered some off the internet. Second, you need milk or a milk-substitute. Third, and this is the trick to duplicate a Starbucks latte, is vanilla syrup. It's pretty easy to find this nowadays on the coffee aisle. I like Da Vinci syrups. I like to add a little extra sugar to mine, usually a teaspoon of turbinado sugar is enough. 1. I have a very interesting machine called a Cocoa-Latte Hot-Drink Maker. I put everything in it and turn it on. When it turns off, I dispense and consume the drink. 2. If you have an espresso machine, steam the milk. 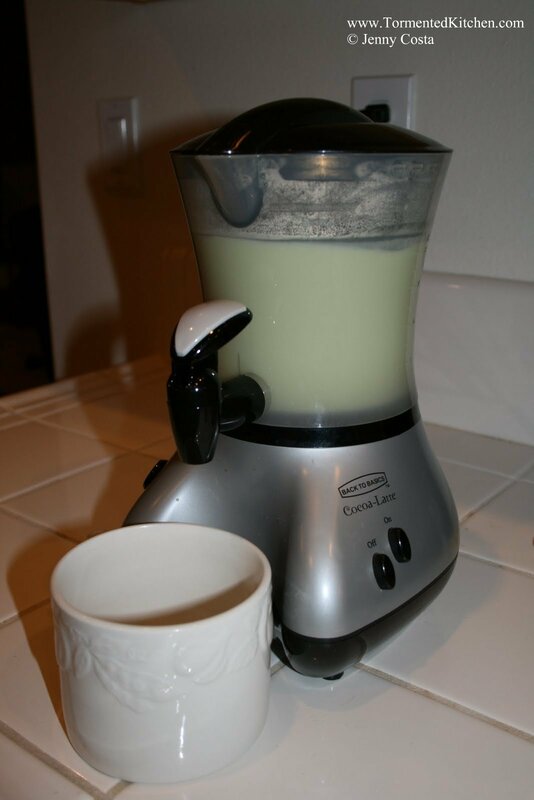 Using a small wire whisk, blend the hot milk, matcha, and vanilla syrup. Steam again if the froth subsides. 3. If you have neither of the first two contraptions, find a way to heat your milk. Stove top. Microwave. Camp fire. Super powers. Add the matcha and syrup. Mix with a wire whisk or use a Mexican molinillo to blend. 4. This makes 32 ounces of latte. That is roughly two Grande drinks from Starbucks and it won't cost you $5 apiece. If you like this, you might also like these recipes. I am so glad you posted this. I love the Matcha Green Tea Latte at Starbucks. I ordered my Matcha from Amazao a few weeks ago and have been trying to do a replica of this! I may have to look into the drink maker you use. Even using a wire whisk, the matcha doesn't blend in very well with the milk. 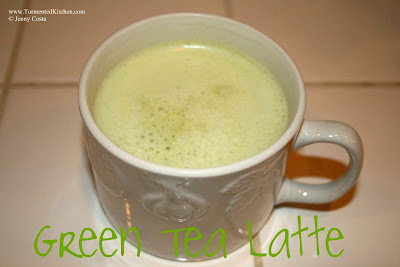 If you like the green tea latte iced, then dissolve the matcha powder in a bit of hot water/milk first before mixing. I order my matcha powder from Amazon and it is PERFECT.